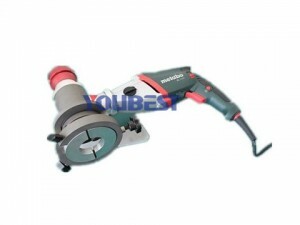 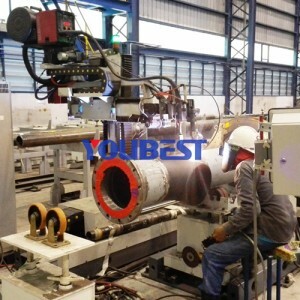 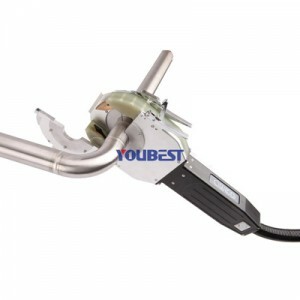 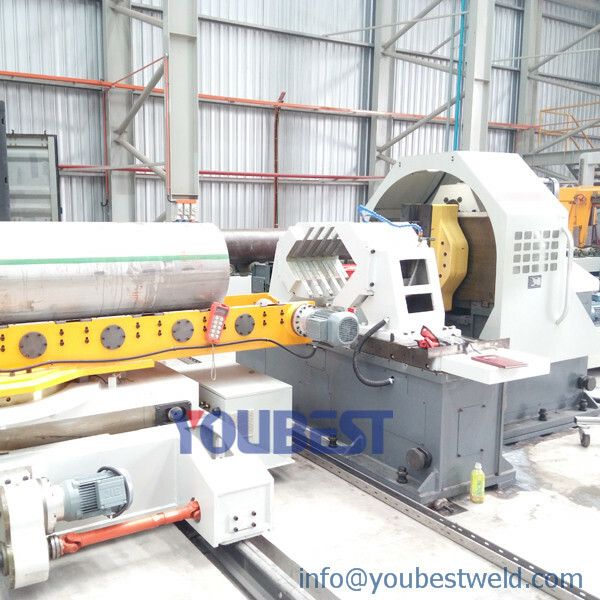 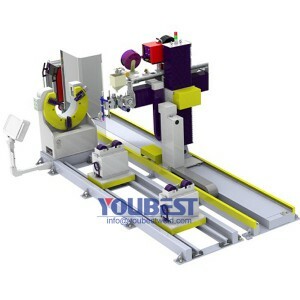 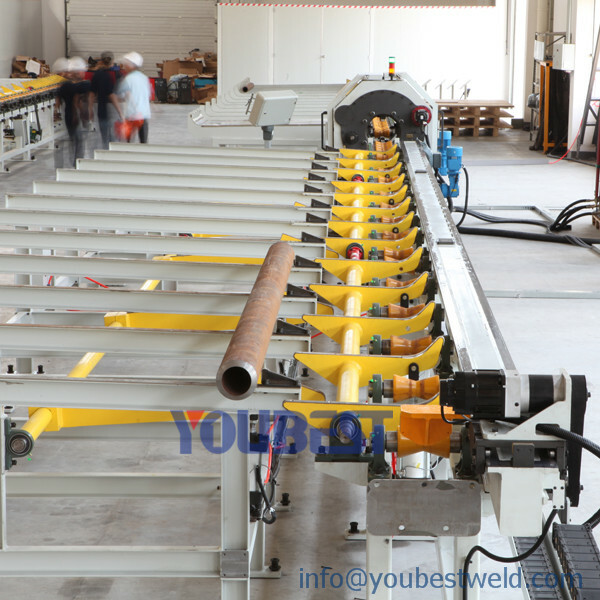 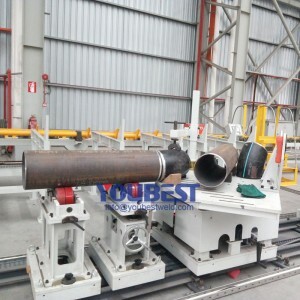 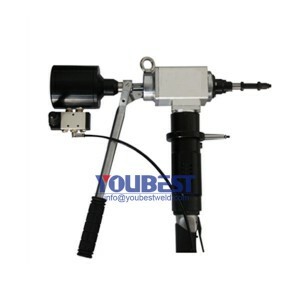 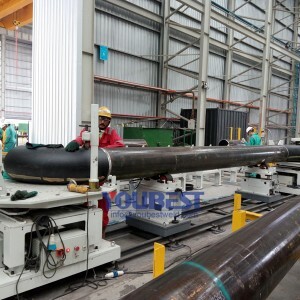 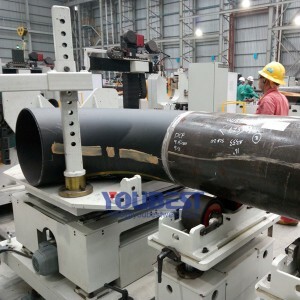 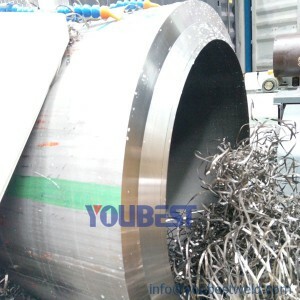 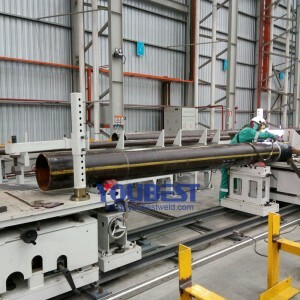 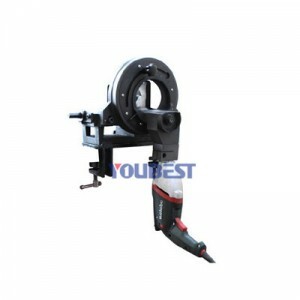 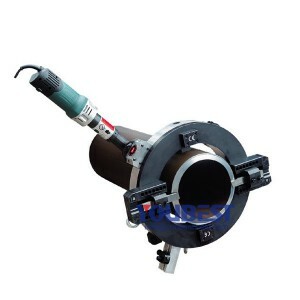 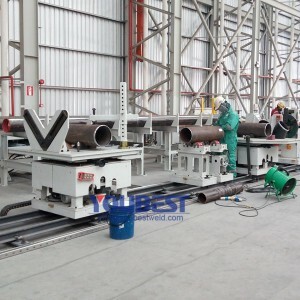 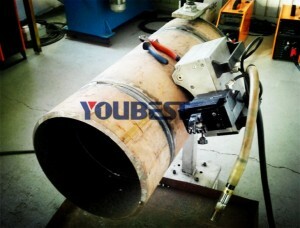 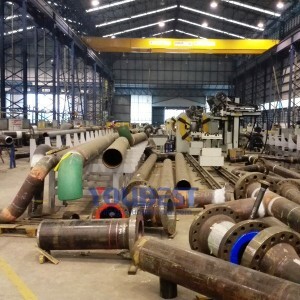 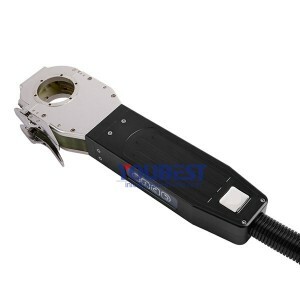 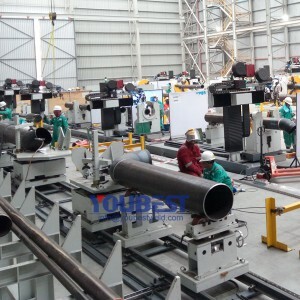 Pipe Spool Pre-fabrication Station-Pipe Cutting & Beveling Machine - YouBest Machinery Co., Ltd. 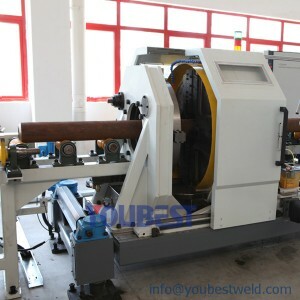 The integrated cutting & beveling Machines have achieved the international standard by utilizing lots of advanced techniques. 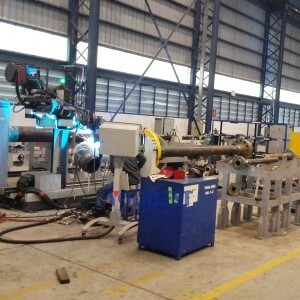 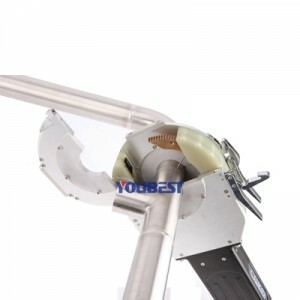 The pipes go through the machine body, clamped automatically. The tool plate starts to rotate and complete cutting and two bevels at the same time.